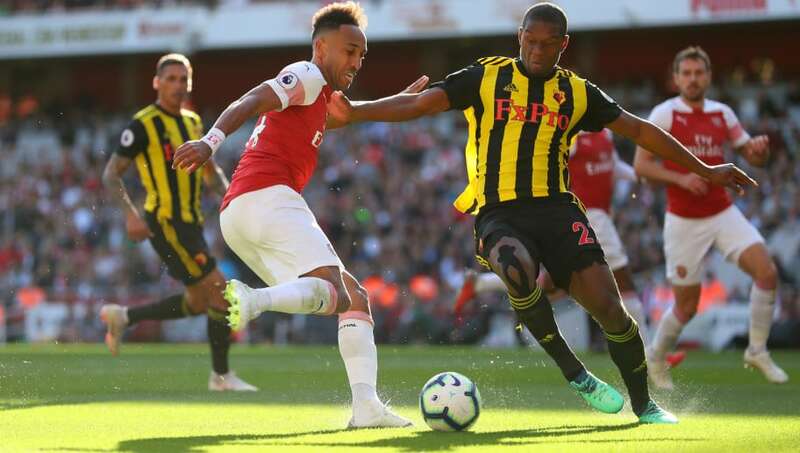 ​​Watford host Arsenal at Vicarage Road on Monday night in their first Premier League match since their incredible comeback in the FA Cup semi final against Wolves. With seventh place still up for grabs, the players will need to summon the motivation to perform at their best once again while putting the final at Wembley against Manchester City out of their minds. Arsenal have been weak away from home all season with just one away win since the turn of the year, but still have plenty to play for with the top four within touching distance. ​Ben Foster (GK) - Had an excellent season between the sticks upon his return to the club where he spent time on loan at in his youth. Has successfully consigned Heurelho Gomes to a spot on the bench and has even been mentioned as a potential England call-up. Kiko Femenia (RB) - An astute acquisition by a club that has made a habit of finding great value in the transfer market. Spent time at both Barcelona and Real Madrid before moving to England and is now showing off his considerable talent. Craig Cathcart (CB) - Has been a steady Premier League performer for a while but has really raised his game this season. The 30-year-old made 29 league starts and is perhaps just now coming into his prime. Adrian Mariappa (CB) - Loyal servant of a club he has played over 300 games for during two spells. Has had a real renaissance under Gracia after it appeared his Premier League career could be nearing its end. Jose Holebas (LB) - The maverick Greek has an abundance of talent, scoring three goals and completing six assists in the Premier League this season. A real creative outlet for ​Watford who is still going strong at 34. Etienne Capoue (CDM) - Perhaps the least heralded of the Watford midfield, but a player that really sets the tone for their expansion style with his passing from deep. He also averages 2.7 tackles a game, which is the best in their entire squad. Abdoulaye Doucouré (CDM) - Will certainly be the target of a number of big European clubs in the summer as a result of his outstanding performances this season. He can pass, shoot, cross, run and tackle, and does so with relentless consistency. Will Hughes (CAM) - A technical player with a lot of ability that is now delivering on the early promise he showed at Derby. One for England to look out for next year. Roberto Pereyra (CAM) - Another player that has finally lived up to the hype he earned earlier in his career. Gracia would have been glad to see that a hip injury that nearly kept him out of the semi final was nothing serious. ​Troy Deeney (ST) - Mr Watford probably delivered his finest moment in black and yellow last week with a last-gasp penalty to send the semi final to extra time. It won't phase him though and he will be relishing another match-up with ​Arsenal, a team he has had a few run ins with in the past. Gerard Deulofeu (ST) - Perhaps harsh on Andre Gray who has recently found form, but this man cannot be left out after what happened at Wembley last Sunday. He gave a sublime individual performance to take Watford to the final that will go down in Hornet folklore.